The transformed data in our system is highly impactful in letting users understand their labor costs and ultimately optimize them. We produce the data that your operators need to take action on to drive savings, shining the spotlight on areas of your business that are doing well or need improvement. Then, your operators are equipped to take action. We have developed visualization tools that are actionable, repeatable and prescriptive so your operators know what action to take, with whom and when. The Easy Metrics Reporting outputs were designed by operators, for operators – equipping them with relevant data according to their specific needs. Easy Metrics Reporting contains Dashboards, more than 40 preset reports ready for your use and true adhoc capabilities. Each report can be customized with report filters, giving you thousands of ways to view your data. 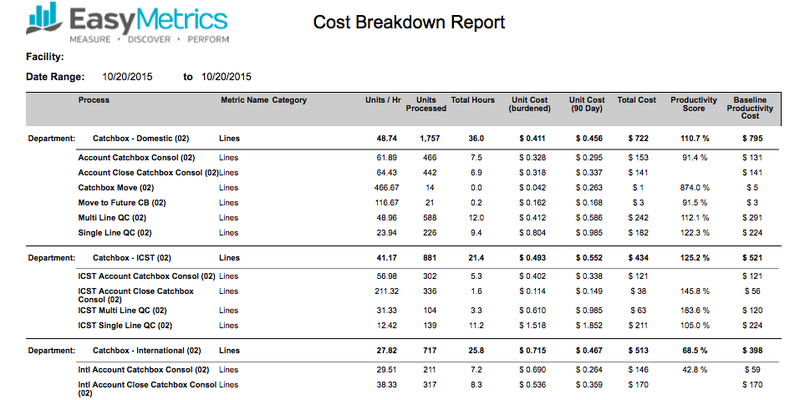 As an example, a single report can show the most granular cost information down to the employee and process level, and it can be rolled up or sliced in myriad ways. In addition, all data within Easy Metrics can be exported to a variety of file types for consumption outside of the application. As no two companies are exactly alike, business intelligence is not a one-size-fits-all endeavor. Customization and flexibility make business intelligence actionable. For customers that need custom analysis and reporting, Easy Metrics Ad Hoc Reporting enables users to build their own reports and modify existing ones with little to no training. Ad Hoc Reporting generates reports for specific information quickly and easily, allowing end users to dynamically modify and drill through report data for powerful information analysis. This type of flexibility frees valuable IT resources and gets information to end users immediately, empowering them to interact with the data. Reports can be viewed in a variety of formats and can be exported as data files to be used in spreadsheets. Ad Hoc Reporting gives you access to all data compiled by Easy Metrics and allows you to view or export your data in whichever format you require. Learn how to reveal costs by employee, and to transform that data into major productivity gains. Are you finding that trying to manage your largest expense, labor, is hard, costly, and difficult? There's a better way to get full visibility into your labor. 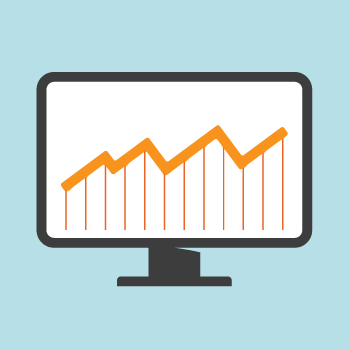 Find out 5 ways Easy Metrics has made labor management easy. Sign up to receive our latest blog posts straight to your inbox. Implementing Easy Metrics is a breeze. See what kind of results you can expect from implementing.